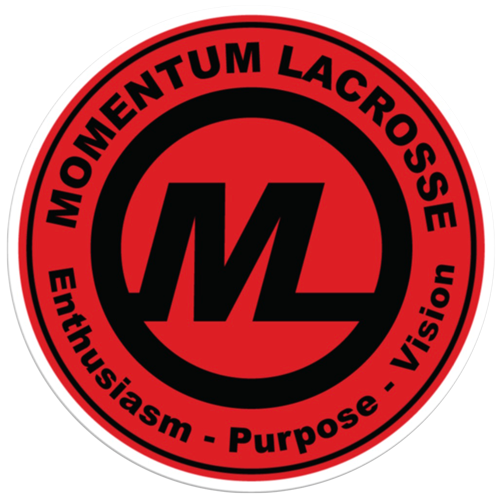 Established in 2014, Momentum Lacrosse is dedicated to the development of young men who are committed to the acts of enthusiasm, purpose, and vision. Proudly rooted in the integrity of the game, Momentum looks to work with student-athletes who desire to gain an advantage in their game over the summer so they may have an impact for their team during their school year. After three successful seasons with high school boys, we realized we had created more than just a developmental program - a new encouraging environment was established for families and players alike. A really wonderful community of like-minded individuals who believe in each other. In Summer 2017, we expanded our program significantly. We grew from 25 to over 200 players in a single year and now offer opportunities starting at U10 all the way up to College Prep and Men's Open. We operate clubs in Columbus, OH, Grand Blanc, MI, Midland, MI, Lansing, MI, Cadillac, MI and we have players as far north as Traverse City, MI, Petoskey, MI and Sault Ste. Marie, MI. No tryouts, no outrageous fees. Nothing but pure excitement throughout the summer months. We understand that there are many options for your family over the summer. We invite you to join us for the Momentum Lacrosse experience. We know you and your child will find it a fun, safe, rewarding experience that they can build a future on.